This is a set of three (3) of the most commonly used feeler gauges for rotary engine inspection and assembly. 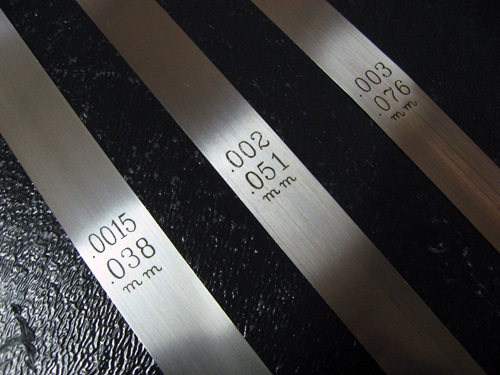 The thicknesses are 0.0015 (1.5 thousandths of an inch), 0.002 (2 thou) and 0.003 (3 thou). Length of each gauge is 12 inches, which we find handier than the short ones. Price is for the set of 3 gauges.Limited quantity in stock.